Announcement Welcome to the AtolyePaperie! The current turnaround time is 2 BUSINESS DAYS. 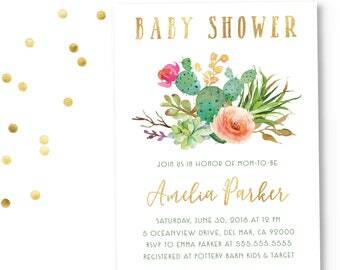 We offer customized invitations and prints for many events, specializing in wedding invitations, bridal shower invitations, bachelorette party invitations, baby shower invitations, birth announcements, birthday invitations and so many more. We are happy to design coordinating pieces to match the invitation you choose. Feel free to contact us with any questions. Thank you for stopping by! Welcome to the AtolyePaperie! The current turnaround time is 2 BUSINESS DAYS. Beautiful invitation! Love it! Thank you so much! 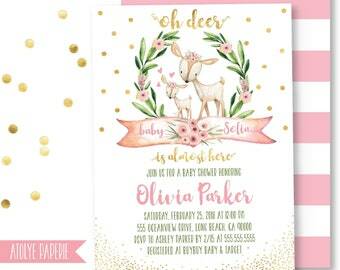 Atolye Paperie offers customized invitations and prints for many events. We specialize in wedding invitations, bridal shower invitations, bachelorette party invitations, baby shower invitations, birth announcements, birthday invitations and so many more. Hello! I'm Iclal [idge-lal] and I love all things pretty! I started AtolyePaperie for my passion of creating. It brings me great joy to know that I get to be a part of very special moments. Thank you for sharing it with me! Instant download files are available immediately after your purchase. You can download them from purchases and reviews. CAN YOU CHANGE THE WORDING FOR ME ON THE INVITATION? If the design seems feasible, I can customize the wording on the invitation to your liking. Please include the wording in the notes to seller during checkout. Please keep in mind, if you would like a large amount of wording added, it might not fit or it will look cluttered. In these cases, it's best to message me and I can guide you to your best option. For example, bridal shower invitations can be changed for baby showers, bachelorette, graduation, etc.